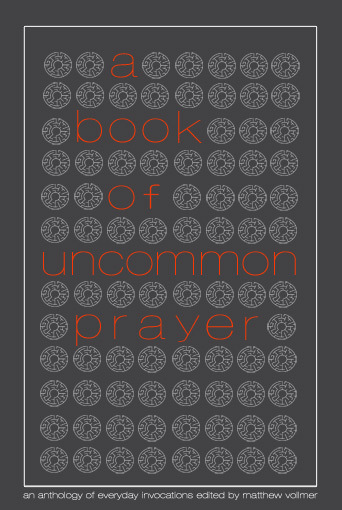 I’m so excited to be reading alongside some of my favorite writers, as we celebrate the release of “A Book of Uncommon Prayer,” an anthology of everyday invocations by 64 authors, edited by Matthew Vollmer, published by Outpost 19. 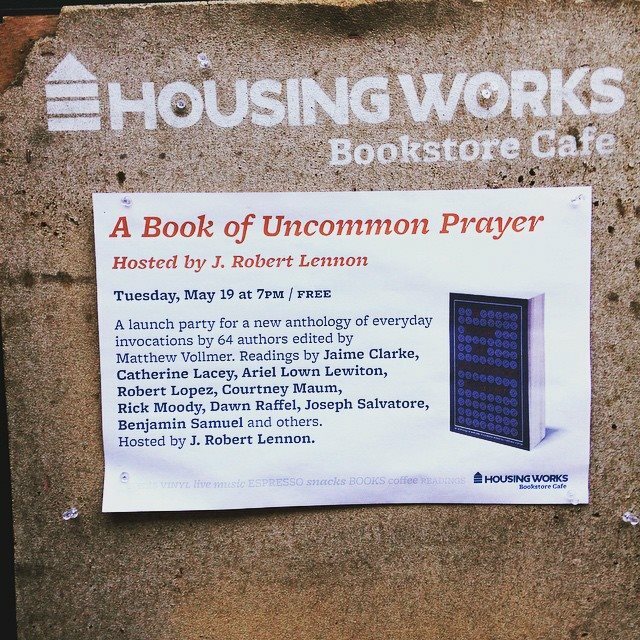 Join us at Housing Works Bookstore Cafe, Tues., May 19, 7pm, for a launch party and brief readings by Jaime Clarke, Christy Crutchfield, Catherine Lacey, J. Robert Lennon, Ariel Lown Lewiton, Robert Lopez, Courtney Maum, Rick Moody, Dawn Raffel, Joseph Salvatore, Benjamin Samuel and more. Hosted by J. Robert Lennon. Interviewing Scott Hess to celebrate the launch of his new novel, THE BUTCHER’S SONS, Weds., May 6, at 6pm, at Boxers NYC. This is the man. This is the place. I’ll be interviewing Scott Hess to celebrate the launch of his new novel, The Butcher’s Sons, on Wednesday, May 6, at 6:00pm at Boxers NYC. 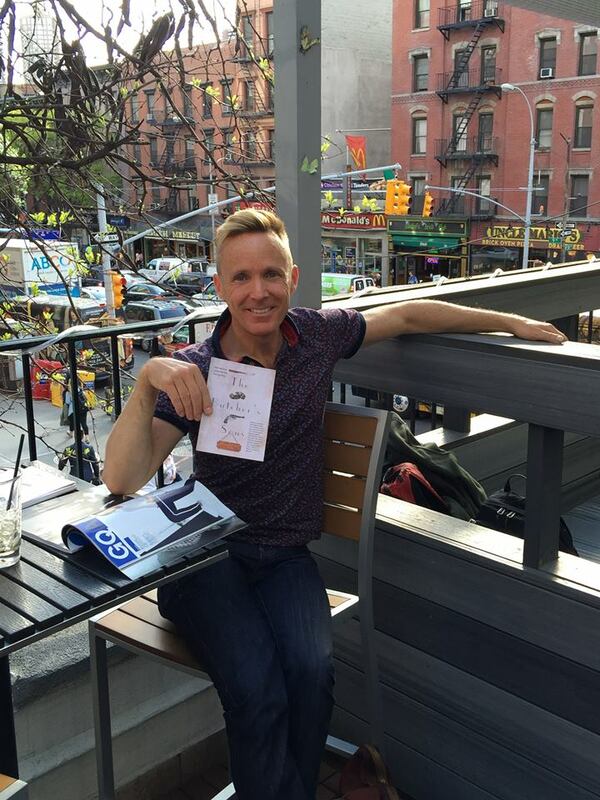 Join us for some springtime-in-NYC rooftop literary hijinks.